You can block someone on Snapchat in 3 different ways. You can block someone by clicking the “Added me” text on the front screen. Go to your home screen (where you make a Snap) and then swipe down on the screen. 4. Now, they won’t be able to send you snaps, chats or watch your stories. 5 . 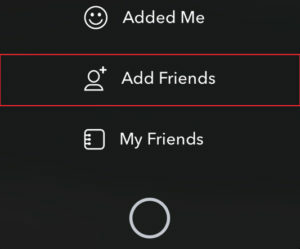 Or you can tap “Delete” to remove them from your friends list. You can block people from the “My friends section” as well. Tap the cogwheel just below their name. This will prevent them from sending snaps, chats and watch your stories. You can also block a user directly in the chat. Swipe left on the chat, on the username you wish to block (when inside chats). Tap the blue button (as seen below) that is located in the top-left corner of your chat. 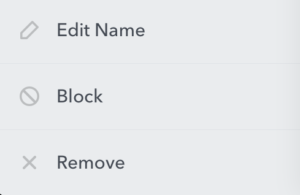 Tap “Block” to block the user. PrevWhat Happens When You Delete Someone on Snapchat?